The rise and dominance of Instagram as the most used social media app with a massive user base is puzzling. Having simply started as a photo-sharing platform, Instagram has swiftly evolved far beyond the expectations of many. It now stands atop of the rest when it comes to engagement rates, and this explains to skyrocketing interest it has provoked among top businesses. In fact, no brand wants to miss out on this revolutionary opportunity to get ahead of the game. If you are looking to leverage the features of Instagram, don’t worry, TrustAdvisor has all you need to lead from the front. While you are at it, let’s browse 5 simple ways to use your Instagram for small business. There are not enough words to explain the importance of hashtags on Instagram. If you are looking to expand the reach of your small business, Instagram hashtags are some of the key features you cannot overlook. Hashtags are the ideal tools at your disposal to help you quickly isolate content suitable to your business from the rest. They come in different forms with some being industry related or even for campaign purposely. Simply choose the right ones and use a range of them. In fact, many businesses use hashtags to find communities they can relate with and this also increases the number of followings. While photo posting has taken off quite seamlessly, the case is different when it comes to Instagram stories. Most businesses have in fact opted to completely ignore this feature probably due to challenges to weave pictures into a story-telling video. Unfortunately, they have no idea just how much they are missing out on. If you have a small business, Instagram stories are the real deals for you. Captivate the attention of your audience with appealing photo stories and videos about your brand, and witness as your following spikes. You will be surprised just how easy it is to set yourself apart from the rest by skill fully using Instagram stories just like Taco Bell has. Don’t wait any longer, start creating those Instagram stories and take your brand to the next level. Instagram has launched so many business-specific features just for you. Reaching your targeted audience faster is something any small business would wish for, and Instagram has all you need to do so. You can use paid promotions specially designed to give you higher engagement with your audience and boost your business goals. 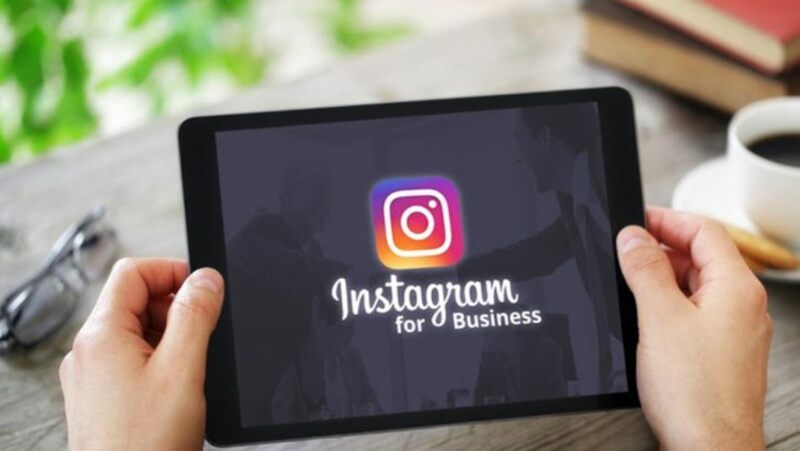 What’s more, Instagram does not want you to simply pay for advertisement – it has a wide pool of insights to ensure you have a full understanding of the entire package and what you stand to gain. In fact, this not only increases your presence to millions of users but also links you to better and more relevant information to grow your small business. Well, this is the fastest and arguably the best way you can boost your following on Instagram. If you are green when it comes to using Instagram for your small business, you can never go wrong by choosing influence marketing. By using them, you increase your probability of connecting with influential users. The idea is to have your brand exposed to their dedicated audience, and turn them to be your customers. Mind you, you don’t need to break your bank to do this. You will realize there are so many influences with engaged audiences you can link up with on Instagram and reach out to them with an interesting offer to work together. It’s common knowledge just how frustrating it can be for small businesses to meet the characteristically high costs associated with adverting on social media. It’s not a wonder most businesses shy away. However, Instagram is a totally different case – explaining why its popularity among brands has soared to the rooftop lately. It is unrealistically affordable and that is what makes it the ideal platform for any small business that wants to expand its reach. Simply create a business account on Instagram and have everything in order when it comes to customizing your account and smile all the way to the bank as you reap from Instagram Ads.